Our domestic design ideas include all the important features, which make your garden beautiful as well as practical. We can supply high quality turfing for your lawn, our quality workmanship and our ability to carefully listen and understand our client’s requirement make us a perfect choice for any domestic gardening job. From ground re-shaping, rockeries, paving and pergolas our ground maintenance team can re-create your environment to make maximum use of your garden’s space. Adding some final detailing can help transform your garden into a relaxing environment that you can enjoy. We do this by being able to provide, supply a range of different flowers, shrubs, trees and saplings in your garden. 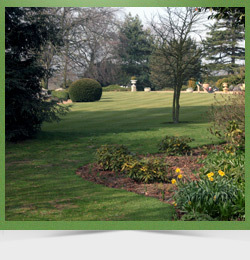 Whats more, we offer a maintenance service on all gardens so you don’t need to worry about maintaining anything. For further information about our landscaping contractor service or ground maintenance services, please call us today on Daventry 01327 876685 where our friendly team can provide you with more information.